Azerbaijan`s Embassy in Poland has prevented an Armenian provocation as it forced the removal of an anti-Azerbaijani image from an advertising banner installed outside a Poznan-based Armenian restaurant. 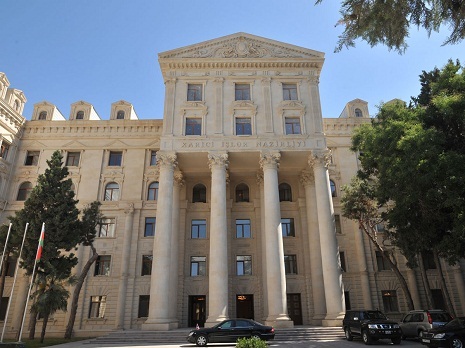 According to the Ministry of Foreign Affairs, the Embassy appealed to Polish authorities and held several meetings with appropriate officials in order to remove the image depicting Azerbaijan`s occupied lands as part of the Armenian territory. The Embassy`s immediate action resulted in Polish authorities removing the image from the banner outside "Little Armenia” restaurant.